A Stranger In The House opening line: She doesn’t belong here. Karen Krupp has no idea what happened the night she drove her car into a pole. But what she does know is that the police might figure out more than she bargained for. Will her husband Tom stand by her? And how much should she trust her best friend Brigid? 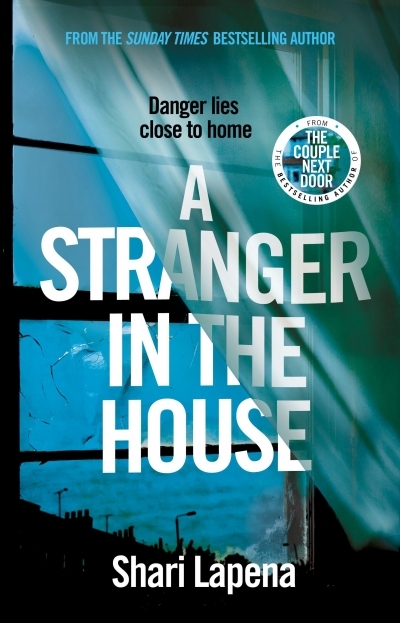 Your home still isn’t the safe place it should be, in the electrifying new thriller from Shari Lapena, author of the Sunday Times bestseller, The Couple Next Door. Why would you run scared from a happy home? You’re waiting for your beloved husband to get home work. You’re making dinner, looking forward to hearing about his day. That’s the last thing you remember. Having read Shari Lapena’s first novel I knew what to expect from her writing. This novel offered twists you would not expect and some you might have guessed. A well written book worth adding to your reading list. Ooohhh this sounds good! You had me at the title. Love these kinds of books. A most interesting sounding book, Tandy. I think I will enjoy this one. Sounds like a great thriller, something that might keep one up at nights;) Great review Tandy! It had a good twist at the end!